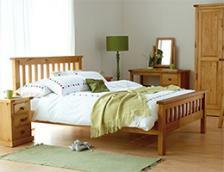 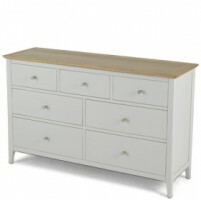 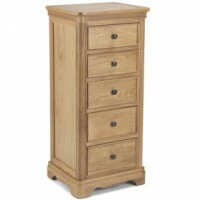 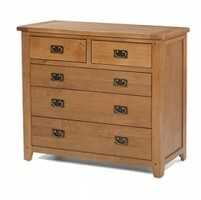 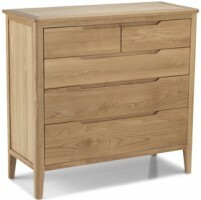 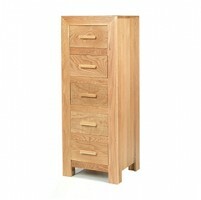 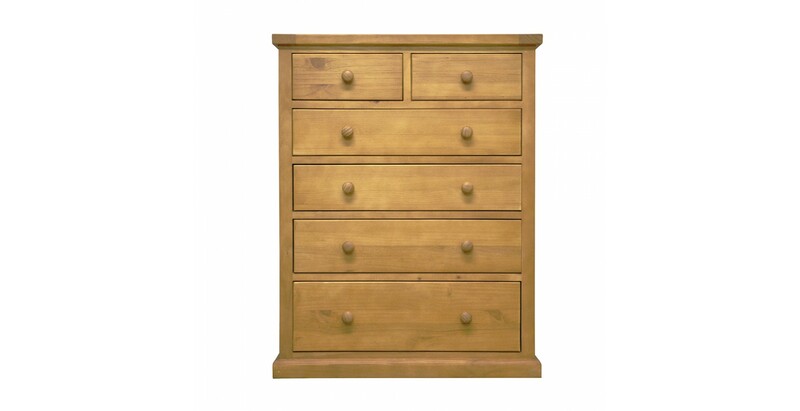 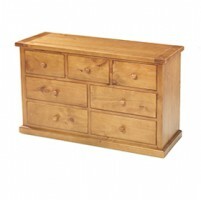 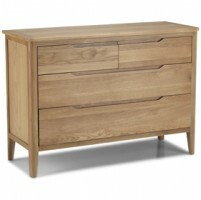 If you want the look of oak without the hefty price tag then this lovely chest is a good place to start. 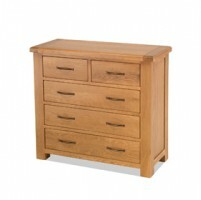 With a light oak stain and finished with a grain-enhancing protective matt lacquer, this 2 over 4 chest of drawer combines modern sleek lines with natural rustic beauty to give it a premium look. 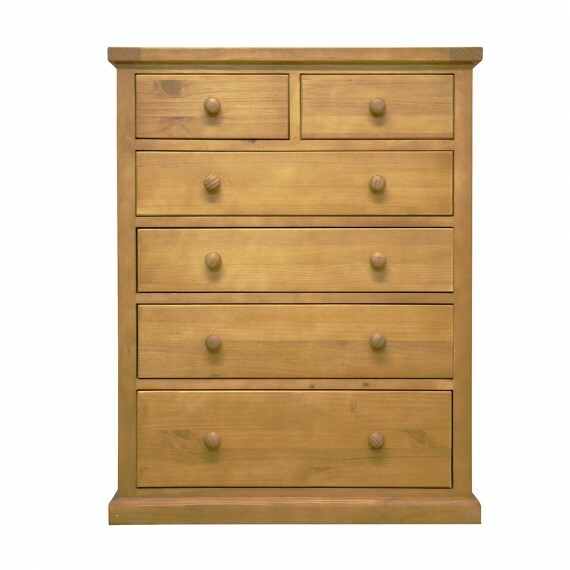 The solid pine is strong, durable and built to last, it has six dovetailed drawers to keep your clothes and accessories in order and, when combined with other pieces from the range, will help you create a room that exudes natural warmth.